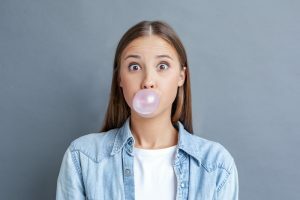 With so much misinformation out there about gum (no, it doesn’t stay in your stomach for seven years if you swallow it), it can be hard to separate fact from fiction. Here’s a go-to guide to learn everything you need to know about chewing gum! Yes, It Really Is Good for Your Teeth! Believe it or not, chewing sugarless gum is actually good for your teeth. That’s because it neutralizes the acid that cavity-causing bacteria thrive on. This in turn helps prevent cavities. It’s probably safe to say that everyone wants fresh, clean breath – and chewing sugarless gum can freshen your breath without adding dangerous sugars that can harm your teeth. Cleaner, fresher breath not only feels great, but it’s also a great little confidence boost. Especially when you consider that a recent study by Match.com found that of 5,000 singles surveyed, 43 percent chose fresh breath as the most important thing prior to a date! Chewing gum reduces stress because it reduces the stress-causing chemical known as cortisol. Cortisol is a dangerous stress hormone that can interfere with everything from information retention to learning and even immune function. It can also reduce bone density, increase weight gain, and raise cholesterol and blood pressure. Worse yet, high levels of cortisol have been associated with an increased risk of heart disease. Another study found that the pleasant smell and taste of chewing gum stimulates the senses and creates a feeling of pleasure in the brain. Chewing gum was found to help chewers retain information when completing memory-related tasks. It also has been proven to improve the attention span and even reaction times. Find yourself tired at that 4 p.m. meeting? Chew a stick of sugarless gum for an instant pick-me-up! Chewing gum is a great way to get that sweet taste you are craving without ruining your diet on sweets. In conjunction with a reduced-calorie, increased-activity diet, chewing gum can even help manage hunger and help increase weight loss. But don’t expect it to do all the work for you – remember, chewing gum works to help your diet, it should not be your diet. OK, admit it: You’re never too old to blow a bubble. What other food can you do that with? So go ahead and reach for that sugarless gum -without the guilt – and have fun with it! What’s Going on With My Gums? Have you ever removed your toothbrush from your mouth only to notice the bristles of your brush are tinted red? Don’t be alarmed! In many cases, bleeding gums can come seemingly out of nowhere, even If you don’t have an injury to your gums. But if your gums aren’t injured, why are they bleeding – and what can you do to stop them from bleeding in the future? Here are some common reasons your gums may bleed, even if there is no injury present. Gums often bleed in people with any stage of gum disease due to inflammation of the gums. 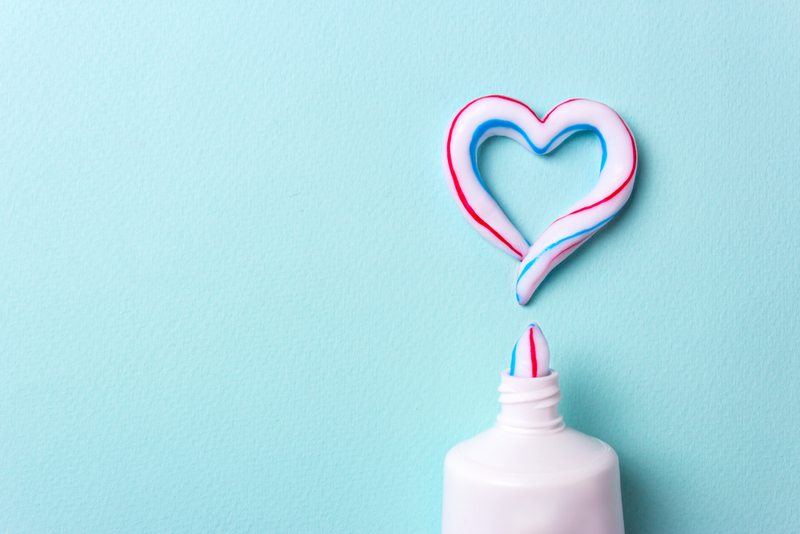 If you notice any bleeding when you brush, it could be gum disease – and your body’s way of telling you to brush and floss your teeth more, not less! If you do see redness on your brush, don’t panic. Many times, early-stage gum disease is completely reversible. Brushing and flossing regularly can turn early-stage gum disease around and stop the bleeding, so don’t give up hope, but do be sure to contact Dr. Lesko if you are concerned or if the bleeding doesn’t stop after a week or two. 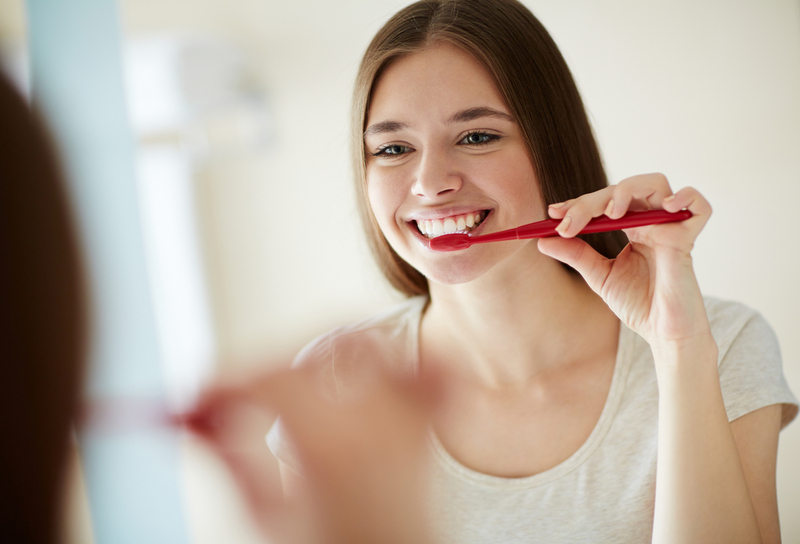 Sometimes when you begin a new oral health routine – such as brushing more frequently or adding flossing – your gums will bleed for a few days until they are used to the new routine. As with gum disease, don’t give up on flossing and brushing because of the bleeding. Keep up the good work and the bleeding should stop after a few days. This may also occur with a new or too-hard-bristled toothbrush. Sometimes women’s hormonal changes can make the gums more sensitive, especially during pregnancy. In fact, there is such a thing as “pregnancy gingivitis,” which usually clears up on its own after childbirth. 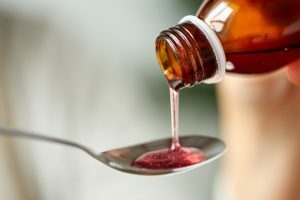 Patients taking blood thinners may bleed more easily and for longer periods of time than those not taking them. If you are on blood thinners and experience bleeding when you brush, don’t be alarmed but do contact your doctor just to be on the safe side. Don’t Do This with Clear Aligners In! 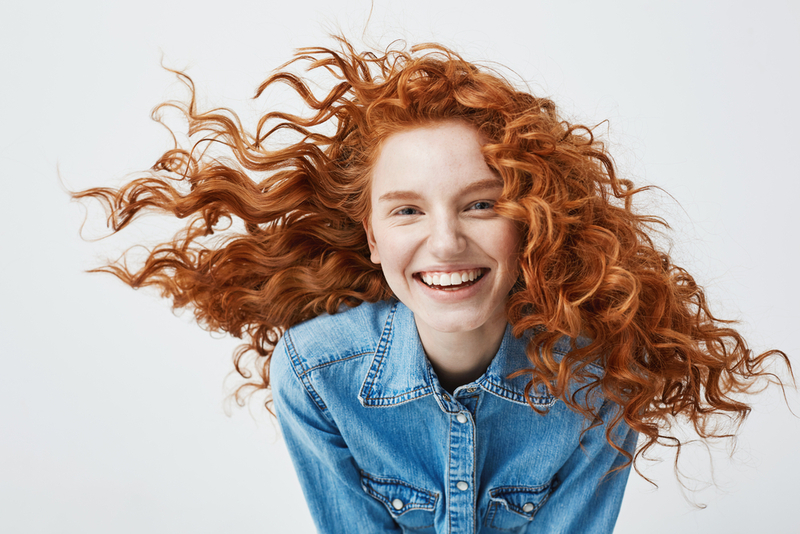 Invisible aligners allow you the orthodontic power of wearing braces combined with the flexibility of living life wire and bracket free when you need it most. But in order to get the most out of your treatment, you need to wear them as often as possible. Thankfully, due to their flexibility, wearing them frequently isn’t difficult. But there are definitely a few times when you should take them out. Mouth guards are great for protecting your teeth against injury – from teeth grinding while asleep or awake to snoring or even playing sports. But your clear aligners were not designed to protect the teeth in this way. If you do require any of these types of tooth protection, speak to Dr. Lesko about your mouth guard options. Hot beverages are a big no-no when it comes to invisible aligners. That’s because invisible aligners can literally melt in your mouth and become misshapen if exposed to hot liquids. 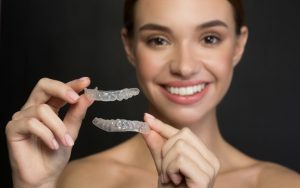 Not only will this change the shape of your aligners, but it can also affect the shape of your teeth and derail your treatment! To learn more about clear aligners and their care, please contact Dr. Lesko at 970-812-0355. Tooth Pain: Why Does it Happen? We all experience dental pain at some point in our lives. It could be caused by many factors, but the key to finding relief is identifying the root cause. 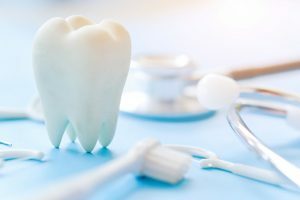 Let’s talk about three of the most common cause of tooth pain along with the best ways to find lasting solutions to each. That way, you’ll be able to prevent more damage, repair existing damage and, more importantly, regain your comfort. Gum disease is one of the most common causes of tooth pain for most people. It usually starts as gingivitis with swollen, red and tender gums that bleed at the slightest provocation. Gingivitis, if left untreated, will progress to periodontitis, a more advanced form of the disease. Periodontitis is more severe and the damage can be permanent, often pulling the gums away from the teeth. This ends up creating pockets of infection that destroy the supporting bones and fibers of the teeth. In many cases, the teeth may have to be pulled or may even fall out on their own. Simple preventative habits like proper and regular brushing, along with flossing, can help you protect your teeth from gingivitis and periodontitis. Once the condition has set in, you’ll definitely need the expertise of your dentist to restore your dental health. LANAP, a laser treatment, is usually used in these cases. Along with gum diseases, cavities also come in as one of the common causes of tooth pain. This dental pain begins with bacterial accumulation on the tooth, forming plaque. The resulting plaque then breaks down the minerals on tooth surfaces, causing small pits. These pits of infection and decay are called cavities. Not treating cavities can lead to serious damage and even infection. Staying protected against cavities will largely depend on your dietary habits as well as your oral hygiene. Brushing and flossing properly will go a long way in clearing bacterial accumulation on your teeth. You also need to ensure you’re being consistent and brushing and flossing every day. Missing a tooth or teeth can be embarrassing. But it can also make speaking and eating difficult. 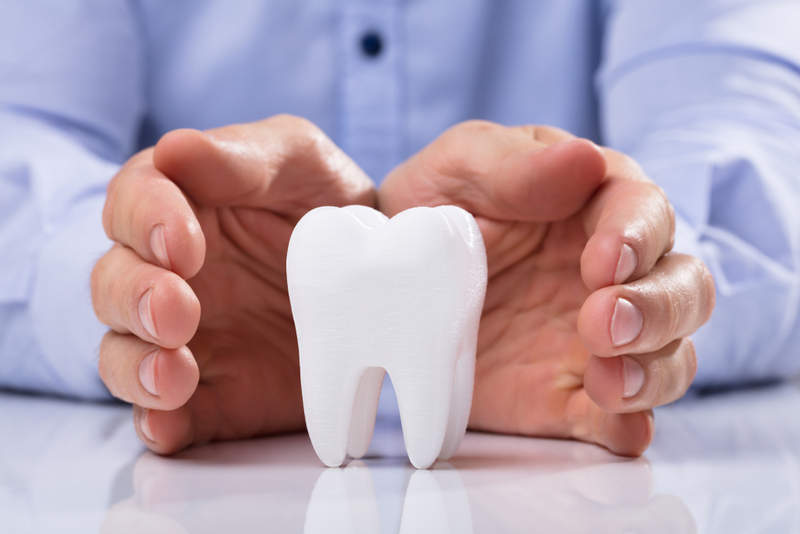 Losing one or more teeth can cause dental pain and generally affect your quality of life. Dental implants, dentures and other restorative procedures can help you get your smile back and end any pain in the area. If you would like more information on tooth pain or need to schedule an appointment, call us today at 970-812-0355. Tooth sensitivity can come as quite a jolt to the system, especially if you’ve never experienced sensitivity before. For those who do experience sensitivity, it can easily ruin a favorite meal or activity and keep you from enjoying the things you love. Here are some top causes of tooth sensitivity and how you can stop it. It seems counterintuitive that brushing too hard or with too-hard brush bristles is possible, but it is. Not only is it possible, but it can also cause damage to your tooth enamel and in turn cause tooth sensitivity. The solution is gentler brushing and a softer-bristled brush. Because sensitivity is caused in the roots and dentin of your teeth, it makes sense that when exposed or injured, these parts of your teeth may have painful, heightened sensitivity. Thankfully, a trip to Dr. Lesko’s office can get your teeth repaired and restored, and the sensitivity should subside. Receding gums expose the roots of your teeth at the gum line, causing pain and sensitivity. Often, this can be eased by flossing more frequently, or by getting a gum deep-cleaning procedure. In some more severe cases, a gum graft may be required to repair the gums and re-cover the roots of the teeth along the gum line. What Is Each Tooth Used For? The full-grown adult mouth has 32 teeth, all of which have their own unique, specific purposes in the mouth. Though they all work together in unison to chew your food, each tooth plays an individual role in the grand scheme of things. Here’s a list of your teeth, and how each one helps your other teeth do their jobs. The incisors are the eight foremost teeth in your mouth, including the fabled “two front teeth.” These teeth are usually the most visible when you smile or speak, and thanks to their shape are best used for cutting into food. The incisors consist of the central incisors and the lateral incisors, of which you have four – two of each on the top jaw and two of each on the bottom. Canine teeth get their name because of their similar appearance to the sharp teeth of dogs. There are a total of four canine teeth in the adult mouth – two on the upper jaw and two on the lower. The canine teeth flank the incisors on either side. Canine teeth are used for tearing food apart. 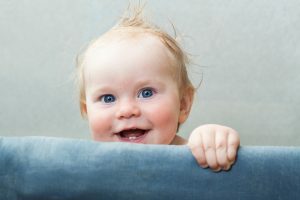 There are a total of eight premolars – four “first premolars” and four “second premolars,” which sit next in line to the canine teeth. The premolars are the flat teeth with points called cuspids. Because each premolar has two cuspids, they are also known as bicuspids. Because of their dual shape, bicuspids serve a dual purpose: to both tear and crush food. The teeth located at the very back of your mouth, the molars are your grinding teeth. There are a total of 12 molars in the adult mouth – the first, second and third molars, of which we have two on each jaw bone. The molars are used for grinding and chewing food. To learn more about your teeth, contact Dr. Lesko at 970-812-0355. If you are a caregiver for someone ill or elderly, first of all, thank you. Your tireless work is something to be celebrated, whether you get recognition or not. Though your job may have its challenges, it can also be rewarding when you are successful. One of the many challenges caregivers face is providing oral health care to those they care for. But it doesn’t have to be a struggle. Here are some ways you can make making oral health care a priority for your charge a lot easier. With winter here and cold and flu season casting its dark shadow upon us, it’s an important time to remember that your oral health needs change when you are sick. Here are a few vital tips to remember if you are one of the 20 percent of Americans who will get the flu this year, or one of the millions of Americans who will get the common cold – maybe even multiple times! You’ve probably heard your dentist make a big deal about the use of fluoride. While you may have thought it seemed exaggerated, the case for fluoride helping to foster optimal health for your teeth is incredibly strong and backed by research. But how does fluoride strengthen teeth? How important is this mineral that has been prominent in oral health through the ages? Let’s find out!